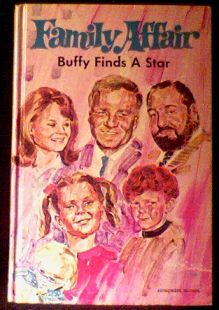 Whitman tv adventure novel featuring the sickeningly sweet family of Uncle Bill, Buffy, Jodie, Cissy and Mr. French. This copy is slightly smaller than the average Whitman TV book. Near mint with no marks, scuffs, or tears. I never quite understood the popularity of this show even though I did watch it in the 60's. The theme music sounded like it was done by Lawrence Welk. Website design and hosting by Sohodojo Business Services. Item 106 of 466 items displayed in viewer. 0 items in cart.